Her 40s have been eventful and enlightening. Actress Manisha Koirala, a cancer survivor, says contrary to common perception that middle-aged female actors get less work in Bollywood, she feels liberated more than ever. “I think I am more liberated as an artiste in my late 40s. I was having a conversation with Shabana Azmiji where she was saying, ‘As an actress and as a woman, we always want to look good. How did you become so carefree?’ I think the greedy actor in me takes over at times. “Being a woman, I want to look pretty in every phase of my life… but I also love acting. If I have to sacrifice my vanity for a character that I am excited to play, I am ready,” Manisha, 47, told IANS in an interview. Having said that, Manisha pointed out that tomorrow if she is offered a role that demands glamour, she will again work on her looks. “Basically, my priority is the character first. I have done my share of looking glamorous on-screen in many films,” said the actress, who mesmerised audiences with her performance in “1942: A Love Story”. 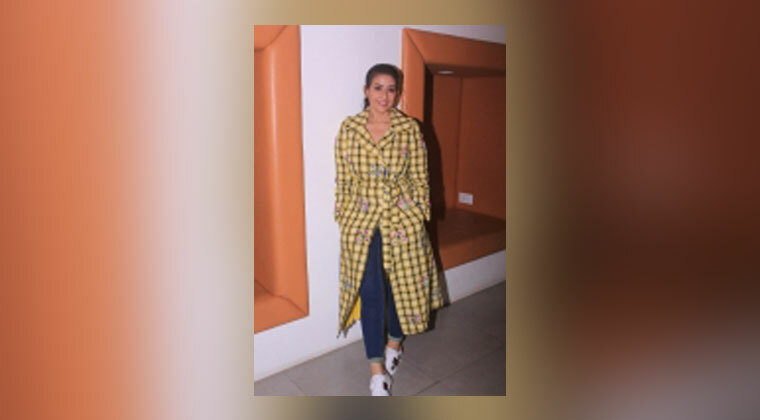 Of late, Manisha has fetched praise for her performance in Rajkumar Hirani’s “Sanju” — in which she has played the iconic Nargis Dutt — and in a web film “Lust Stories”. On “Sanju”, Manisha said: “I was quite nervous about how people will receive me in the film where I am playing the role of such an icon as Nargis Dutt. I was more worried because I knew how great the rest of the actors were in the film. They were brilliant and the worry was whether people would notice my performance among those great performances. “I am still one of those actresses who need people’s appreciation to know that I have done the right thing. Even after spending a substantial time in the entertainment business, before the release of a film, I am nervous,” laughed the “Khamoshi” actress, adding that such nervousness also occurs on the first day of the shoot. According to her, from her first film till today — a journey that has spanned 27 years — she has treated every film like her first film. “It is never ‘just another film’ for me. It is a new opportunity to act, tell a story,” said the “Bombay” actress, who has her roots in Nepal. In “Lust Stories”, an anthology of four films, Manisha plays a complex woman in a relationship with her on-screen husband’s best friend. She says it was the first time she has worn a swimsuit for a film. She says in real life, she loves swimming, and wears a swimsuit. “But on-screen? Then, Dibakar put his best effort and logic to convince me saying, ‘People have not see you in a swimsuit on-screen and that is precisely the reason we should do it.’ Well, then I took it up,” she said, breaking into a laugh. Manisha said she was initially reluctant to play the role as it was difficult for her to comprehend certain aspects of the character. “That is where I had to trust the director,” she said. Did she judge the character for her difficult relationship with her husband and for having an affair with his best friend? “Well, I went through the dilemma in my head while playing Reena. It is not easy to be non-judgmental about the character I play,” said Manisha as she recounted a conversation with the actor who played the villain in “Clockwork Orange”. Will she accept the role of mother that usually middle-aged women get in Bollywood film?